When approached with defined strategy and mandates, Enterprise Social Networks add efficiency, transparency, and serendipity to business process. The goal of these networks is to leverage the social aspects of communication and sharing to increase collaboration and productivity with customers, partners, and employees. 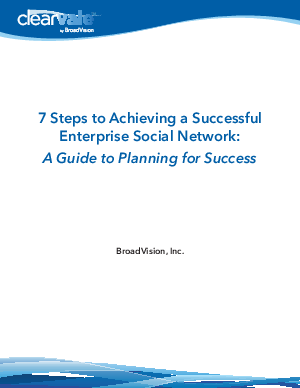 This guide identifies some of the pitfalls to avoid when making this social business transformation, and gives a step-by-step adoption process for those deploying ESN in their enterprise.